Smart buy in a hot market! Adorable three bedroom, one full bath single family home located on a side street and super convenient to everything! Pretty as a picture and featuring a chic paint palette: from the welcoming entry you enter the formal living room that features a faux mantle with mirror then move through the french door to the dining room with original built-in hutch. The eat-in-kitchen provides a good footprint and scale for any cook and leads off to the very spacious level yard. The second floor offers three good-sized bedrooms and a full bath. Tons of original detail yet nicely updated with hardwood floors, newer windows and electric. High ceilings through out and plenty of off street parking. 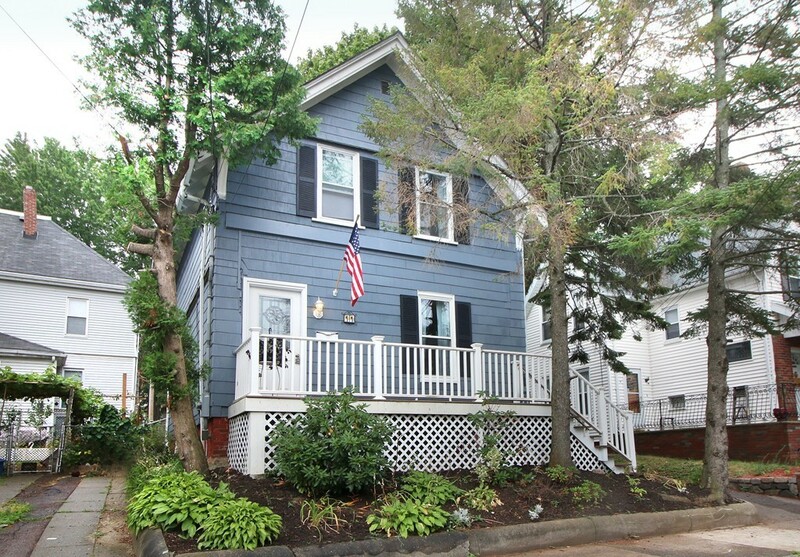 Short walk to schools, parks, downtown shopping and the Orange Line. A must see!! !